Vable works with any almost any source. 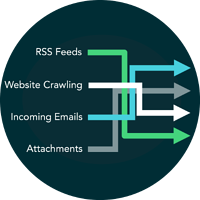 You can add public web-pages, paywalled publishers, RSS feeds and even emails! This gives you complete control over what information your audience relies upon in the course of business. 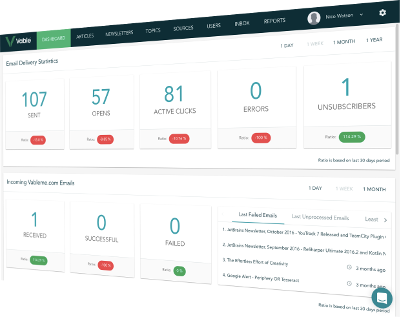 Also - a clear overview allows your organisation to evaluate the consumption of expensive subscriptions. 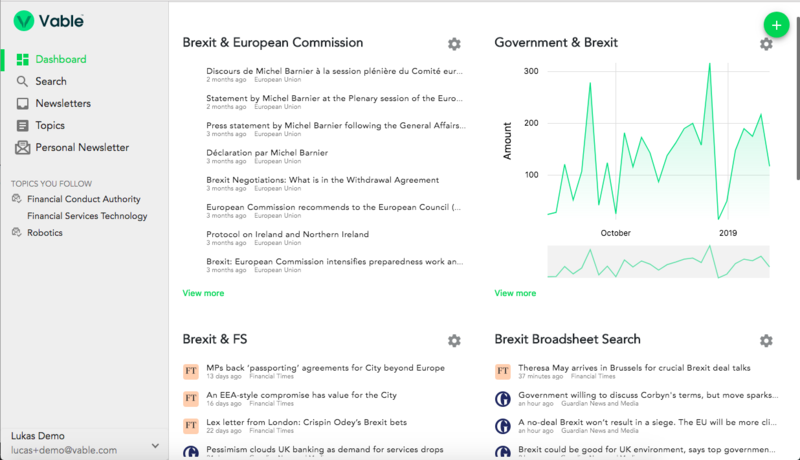 The Vable platform uses Artificial Intelligence to extract keywords, analysing and categorising large volumes of text. Our AI uses IBM Watson's famed Natural Language Processing (NLP) algorithms to understand what articles are about. It helps to keep the content of your alerts more relevant. This does not diminish the human input. Human intelligence is essential to make the judgement calls, evaluating, cross-referencing and triangulating unstructured information. Vable allows you to supplement your capabilities with AI. We believe this Augmented Intelligence approach is crucial to keep teams well-informed in today's fast-paced, fake-news world. Clean, easy to use and free from distraction: my.Vable is our new end-user platform. Designed to facilitate the reading and understanding of business information, my.Vable allows your audience (lawyers, clients, business development) to access all alerts, newsletters and topics in one place. It also enables far greater interaction. We are currently developing the ability to share articles with clients, request topics, and engage with the most important news your organisation is facing. 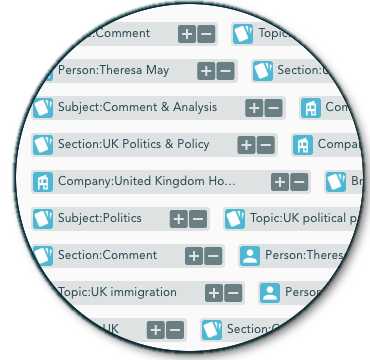 Topics are an important Vable feature, allowing you to bundle very granular searches around a specific theme. They allow you to be precise and flexible at the same time. These mini-alerts are perfect for collaboration among your team - and beyond! Each administrator can repurpose Topics for their own bespoke alerts; they form the building blocks of newsletters, and make it easy to structure and locate your current awareness. Security and robustness are at the heart of Vable's design architecture. Hosted on the renowned Amazon Web Services (AWS), the platform is guarded against hacking and security threats, as well as being GDPR compliant. This means your data is in safe hands. A cloud-based solution, our Software as a Service (SaaS) platform can be accessed on most common browsers from any location. This makes it ideally suited for a 21st century, agile workplace.